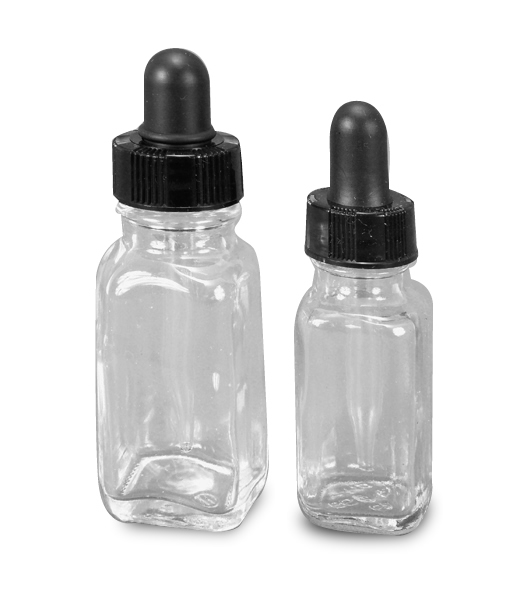 These square glass dropper bottles are space-savers. They are currently available in 1 oz. capacity.